The BOSS series was founded end of 1994 as BOSS Formula and raced from 1995 mainly in Great Britain under the regulations of the RAC Motor Sports Association. Later it was renamed to European BOSS (shortened by the competitors to EuroBOSS) following the involvement of Paul Stoddart’s European Aviation and their expansion into European circuits. It mainly saw grids of around 12–15 cars but on occasions dropped as few as five cars have competed. Common EuroBOSS entries include Formula One machines from Benetton, Jordan, Tyrrell, Minardi and on occasions a V12 Ferrari has appeared. Other frequent entrants are Lola and Reynard CART chassis, the 1997-2002 Panoz (aka G- Force) and Dallara IndyCar chassis, and from 2012, the 2003-2011 Dallara and Panoz Champ Car chas- sis after the new INDYCAR formula began. The Panoz Champ Car DP01 chassis from 2007 is also now legal. After the 2009 season, drivers Marijn van Kalmthout, Klaas Zwart, Henk de Boer and Frits van Eerd decided to split off and organize their own race series. For 2010 EuroBOSS and BOSS GP both existed. EuroBOSS saw small fields and decided to cancel the last 3 rounds. BOSS GP, on the other hand, flourished with many drivers making the switch to the new series. 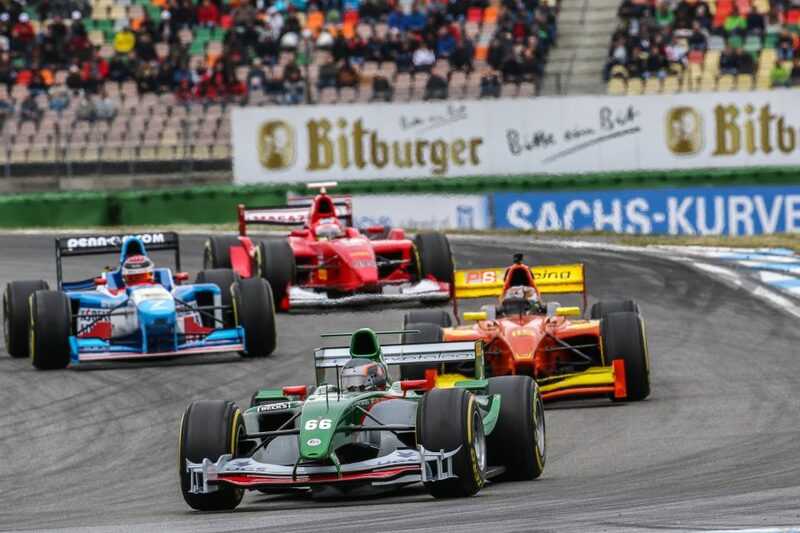 Subsequently most of the entries have been recent secondary level single seaters such as GP2 cars and Renault World Series cars with a small number of Formula 1 cars. As of 2013 two rounds of the BOSS GP form an official German championship sanctioned by the DMSB. In the 2018 season, BOSS GP drove for the first time at the Grand Prix Germany in July as a support series of the Formula 1 and in September at the Red Bull Ring in Austria as part of the DTM-Weekend. As part of Bosch Hockenheim Historic – Das Jim Clark Revival, the BOSS GP will start its season.